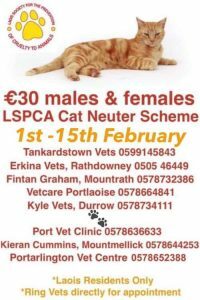 LSPCA CAT NEUTER SCHEME: Get your male or female cat neutered for just €30 on any day between February 1st and February 15th. 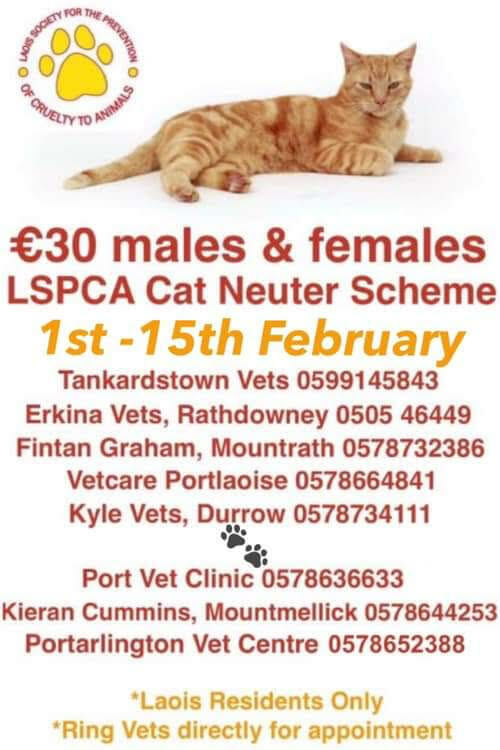 Contact Kyle Vets, Durrow on (057) 8734111 or Erkina Vets, Rathdowney on (0505) 46449. This offer is open to residents of Laois County only.